63rd Street was an unprecedented event and I’d like to thank all those who had a hand in the making of it. So…thanks, me. And I’d like to apologize to everyone who was subjected to it. It seems like a lot has happened out in the “real” world since the last time I actually talked to y’all. 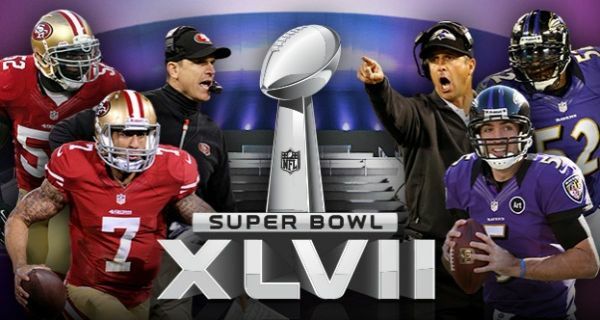 The San Francisco 49ers and the Baltimore Ravens advanced to Super Bowl XLVII. I’ll be rooting for the Niners, though I really don’t have a dog in the fight. (Michael Vick would like to remind you that he doesn’t have a dog in the fight, either.) It’s an interesting match-up, not just because of the much-ballyhooed “Battle of the Brothers” or “Bro Bowl” coaches duel between John and Jim Harbaugh, but because it serves as a textbook example of how unpredictable the National Football League has become. Neither was a stylish pick at the beginning of the season, and the 49ers became even less so when starting QB Alex Smith went out with a concussion in early November and was eventually benched permanently in favor of 2nd year backup Colin Kaepernick. One can hardly argue with the results of that decision, but the choice has nonetheless sparked some very interesting debates. The Ravens may have been a solid mid-season pick, but went into the playoffs in a horrifying tailspin, losing four of their last five regular-season games. Then Ray Lewis announced his retirement, and a suddenly-energized Ravens team took the field and chopped down three of the AFC’s tallest trees: the Colts, Broncos, and Patriots. SNL came back from its holiday hiatus, but was no more funny than when it left. The first host back, ballsy Jennifer Lawrence, seemed game for anything, and did well with what she was given, but wasn’t given much. This past Saturday’s show featured Adam Levine from Maroon 5 and NBC’s The Voice, and reached a level of okay-ness only because Andy Samberg was on-hand for a cameo and a new digital short with his Lonely Island crew. Of course, I think I made it clear awhile ago that Adam Levine is dead to me. I discovered ABC’s Don’t Trust the B—- in Apt. 23 was actually pretty damn funny less than 24 hours before it was officially cancelled. I, like most people apparently, was turned off by the dumb name and what seems like a dumb premise, but I had no idea it could get as wild and clever as Community in its prime, or give New Girl a run for its adorable-in-a-fucked-up-way charm. What may well be the last episode ABC airs — “Dating Game” — was probably the funniest half-hour of TV I’ve watched this year as James Van Der Beek (who plays a twisted version of himself in the series) pretend-hosts a pretend-dating show but really kidnaps someone’s sick aunt as the competition becomes completely unhinged. I’ve also developed a healthy crush on Dreama Walker…but how could I not? And while Star Trek Into Darkness will be beaming into theaters in May, it was announced that J.J. Abrams will be jumping ship mid-warp to direct Star Wars VII. I can’t really begrudge Abrams his decision. He grew up a Star Wars fan and was an admitted newcomer to the Trek universe. He’s getting to live what has probably been a lifelong dream for him. But it certainly throws the future of the Trek franchise into question and makes the ridiculous Trek vs. Wars debate flare up again across the internet. I can only hope this will indirectly lead to Star Trek returning to TV, which is really where its star shines the brightest. 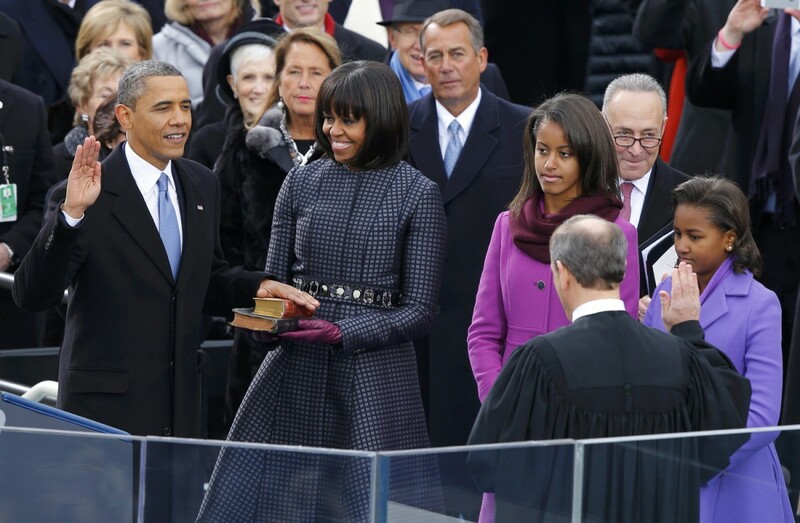 In news of more historical importance, President Barack Obama was inaugurated for his second term on Martin Luther King, Jr. Day. And while a few paid attention to the significance of such a thing, mostly people bitched about the cost, fawned over Michelle Obama’s bangs, or tut-tutted Beyoncé’s lip-synching. Though perhaps the fact that we can look past the thought of a black man being inaugurated as President on MLK Day to such comparatively trivial matters means we’re closer to The Dream than we think. Tags: 49ers, Adam Levine, Don't Trust the B---- in Apt. 23, Dreama Walker, geeks, J.J. Abrams, James Van Der Beek, Jennifer Lawrence, Obama, Ravens, Saturday Night Live, Star Trek, Star Wars, Super Bowl, Super Bowl XLVII. Bookmark the permalink. Yeah, I’m pretty neutral on the Super Bowl as well… which is normal for me… but I admit I have some support for the Ravens simply because it’d be nice to watch a veteran player actually get the send-off they deserve, rather than watching them limp off like so many others on a weak season. Still, win or lose, getting there’s a pretty good send-off for Ray Lewis. I’ll mostly be watching for the commercials, though. I have to admit, I didn’t even think about how Abrams’ move to Star Wars would affect the Star Trek franchise. But perhaps with him leaving it, the films will get back a bit more of the “Trek” spirit that I’ve seen some fans complain the reboot lacked. No real opinion on Apartment 23, except a lack of surprise; if you can’t say the name, people tend not to watch the show. Easy marketing call there, not sure why they screwed it up. Dreama Walker is pretty though. Have to admit, I generally view the inauguration of a standing president as a footnote more than anything. Didn’t watch the ceremony. I am glad you point out that we’re getting closer to King’s dream, but aren’t there yet. I actually got a little perturbed when he was initially elected and people said we were living the dream. No. Dr. King never dreamed of a day in which we’d elect a black president. He dreamed of a day in which we wouldn’t give a damn. Peoples’ reactions back then, both positive and (unfortunately) negative, showed we did. Today, we’re still not there, but we’re closer.